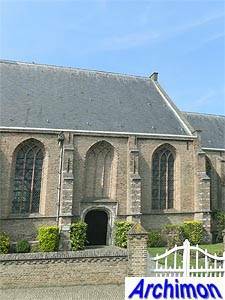 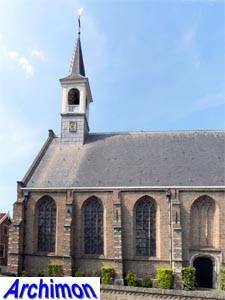 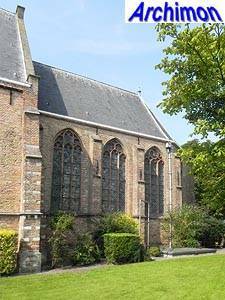 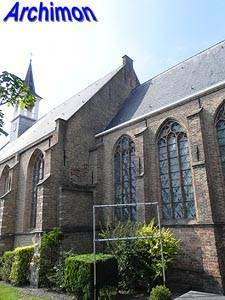 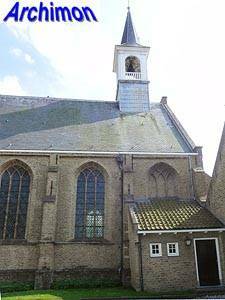 Schipluiden is known to already have possessed a church in 1294, the year of the oldest mentioning of the local parish. 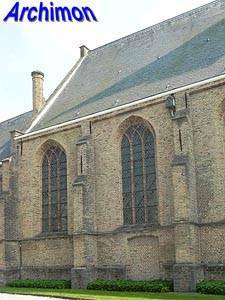 Parts of the old church are possibly preserved in the walls of the current choir, since the size of the bricks used is cleary different. 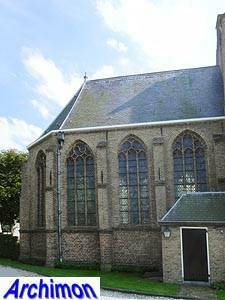 The current church is a one-aisled building in simple Gothic style. 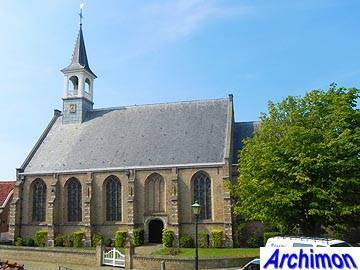 It was built in the first half of the 16th century and, after a fire in 1616, was rebuilt in 1622. 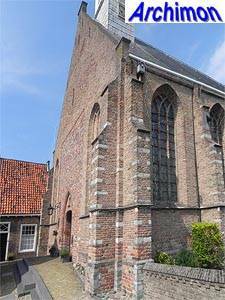 Originally it had a tower which, together with the western trave of the nave, was demolished in 1810. 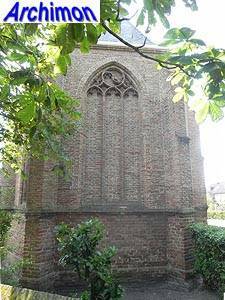 A wooden turret was put on the roof instead. 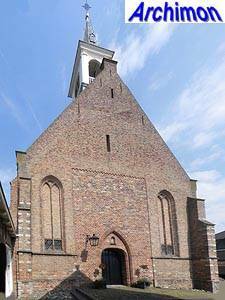 During a restoration in 1956-1958 the western trave was reconstructed, together with the foot of the tower. 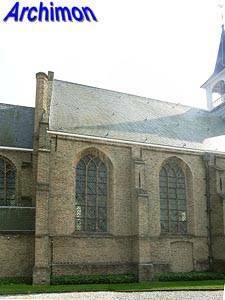 The wooden turret was replaced by a new one.